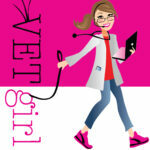 In this VETgirl online veterinary continuing education webinar, Dr. Gordon Peddle, VMD, DACVIM (Cardiology), reviews the often confusing and nebulous disease, pulmonary hypertension. In this lecture, he'll define what pulmonary hypertension is and review the pathophysiology, classifications and various causes. Learn how to treatment this disease and what pharmacokinetic therapy is important. The webinar ended 1.5 hours ago, 830 EST. if you have other questions – do not leave a website comment. Rather use the contact section of thof website for a more rapid response. But want to watch this webinar for CE credit?